Encouraging Facebook users to book a demo or speak to a representative. Retargeting previous website visitors to return to your site to take advantage of a sale or promotion. 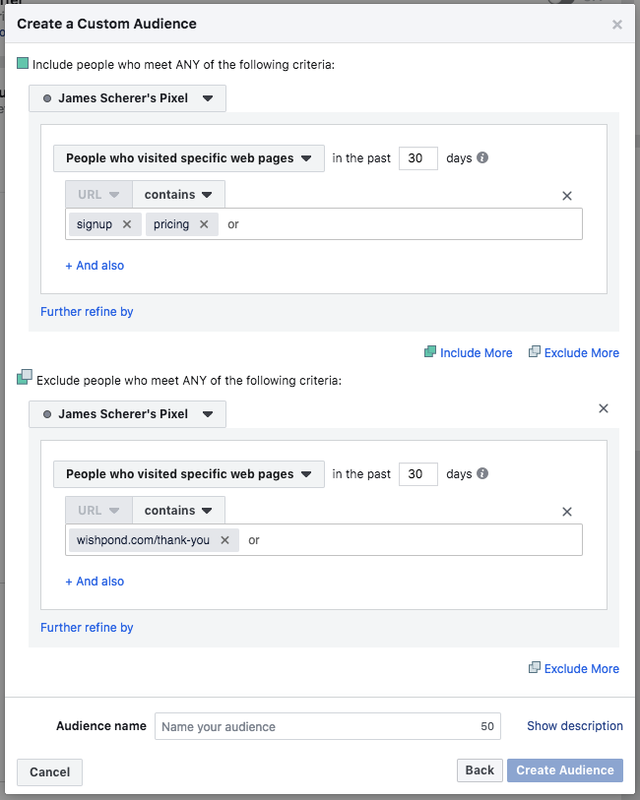 Encouraging Facebook users to provide lead information in return for a piece of gated content. Why use Facebook Ads to generate leads? Promoting lead generation with Facebook Ads is all about giving your prospective customers a conversion possibility which is higher in the sales funnel than an outright purchase. This keeps your conversion rates high, costs low, and relies more on your team's ability to convert leads than on Facebook. And that's awesome, because it puts the control into the hands of your business where there are more opportunities for optimization. Check out Wishpond's microsite, "Learn Lead Generation," which gives you 1000+ lead generation strategies, ideas, best practices & examples from businesses like yours. Using Facebook ads to directly drive SaaS or B2B sales can be a difficult nut to crack. The cost-per-conversion is often too high, and the click-through-rate too low, to be profitable. 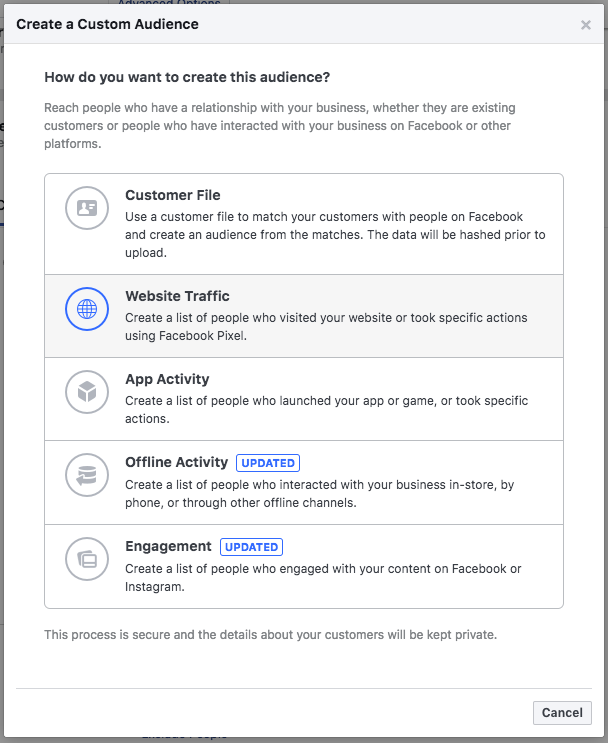 Using Facebook Ads, though, to drive demos? Suddenly the "ask" is far easier to say yes to, and the cost-per-conversion easier to stomach. The math though, now has a human element. You need to be sure that your VIP demos convert into sales at a high enough percentage that (when you do the math) it's worth it. 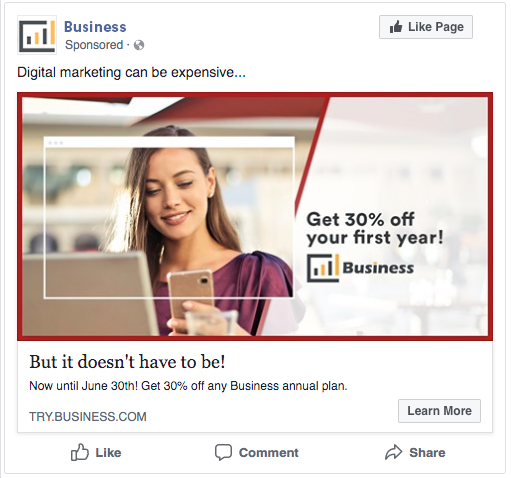 If your Facebook Ad has a click-through-rate rate of .05%, 50,000 impressions, and a landing page conversion rate of 25%, you'll book 5 demos. Let's say the ad budget plays out that you pay $50 per demo booking. If you convert demos at 20%, the whole thing may not be worthwhile. Converting at 50% though? Then you have a profitable ad campaign. The ad audience for this kind of campaign needs to be very specific to your target audience, as well. If you go too broad, you might get a lot of calls, but none of them will result in a final sale. My recommendation is to limit your target audience by country and interest, and then keep testing and honing your sales team's ability to turn these leads into sales. "Retargeting" is one of those strategies in online marketing which intimidates most of us, and is underutilized by all of us. But it's actually not that complicated, and it's even more powerful than you might think. As a refresher, retargeting is the practice of automatically tracking your website visitors when they leave your website without completing a desired action, and showing them ads to push them back to your site. Retargeting can be a super useful tool in a marketer's toolbox for everything from new user onboarding to ecommerce cart abandonment. It's notoriously difficult to track, as we have no real way of knowing how many prospective customers subconsciously choose or remember your business because of a retargeting ad they don't click (if that makes any sense). Nonetheless, it's cheap, and whenever we at Wishpond turn it off because it looks like we're getting a negative return on our ad investment, our bottom line drops out. So we've stopped turning it off. The first step is to add the Facebook pixel to your website. This is the piece of code which Facebook uses for everything from tracking your ad campaign's "Cost Per Action" to creating custom audiences. To learn more about and add a Facebook pixel to your website's backend, click here. Now that you have your retargeting ad audience set up, we need to create the right Facebook ad. There's one question to ask with retargeting: Why did this person leave my website in the first place? We need to address the pain point - the reason that someone didn't complete the action you wanted them. And we need to fix it. For many of us, 9 times out of 10, the answer is price. The easiest way to address a price issue is with a promotion exclusive to the person who cares about it. 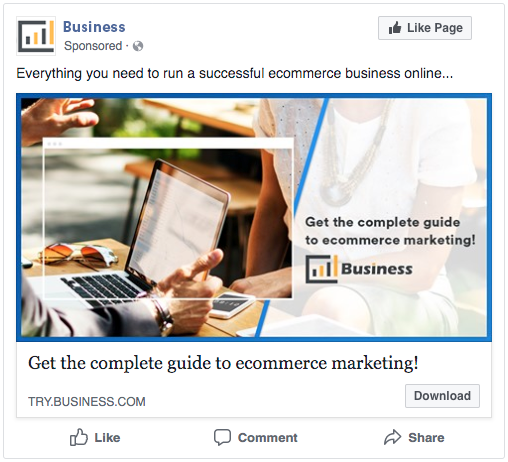 When someone clicks on this ad (or sees it and comes back to your website of their own accord), you have a second chance to turn them into a lead or customer. Without retargeting, they were lost. Isn't that worth an hour or so? Creating great gated content (an ebook, a webinar, a white-paper, industry report, case study, or whatever) is a great way to entice relevant prospective customers to provide their lead information. It's also a great way for your business to connect with other businesses (especially webinars and co-created ebooks) and increase your reputation as a thought-leader in your industry. Sure, they're high-investment, but once they're live, they're evergreen - meaning they can sit on your website, generating leads, for months and years without you touching them. My first strategy (and the reason I'm showing you this) will be to A/B test the ad image so it is more cohesive with the landing page. In general, ad and landing page consistency is key to optimizing for conversion. 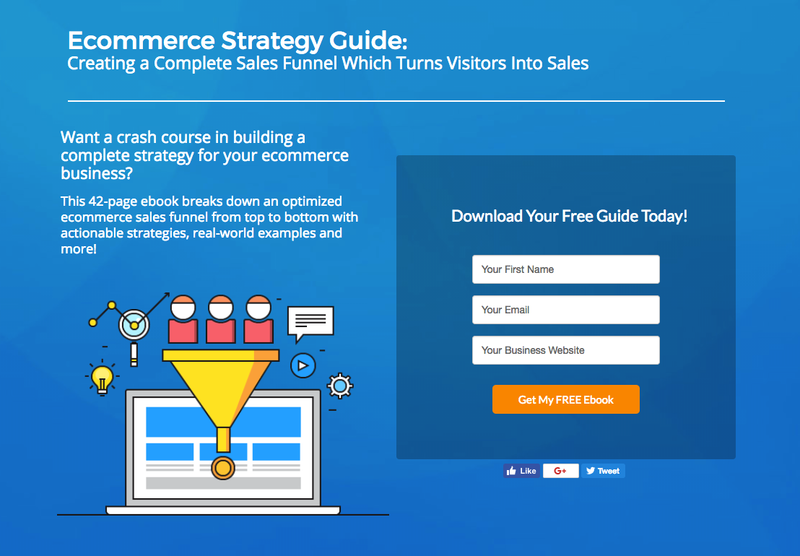 There's no point in generating an ebook lead (or any of the leads in this article) unless you have a strategy for converting them into a sale. And leads are all created differently. You'll pay less for an ebook lead, but unless you have a solid strategy for lead conversion, it won't be worth it in the long run. To get a walkthrough on how you can nurture leads into sales effectively, check out two of our top articles: "How to Create Email Drip Campaigns to Nurture Leads," and "How to Nurture a SaaS Lead into a Sale." 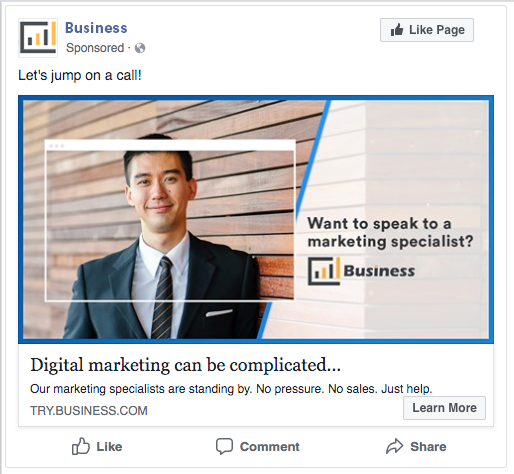 Facebook Ads can be a super useful way for you to drive traffic to a lead generation campaign, but you really need to know what you're doing. Hopefully the strategies and tips in this article will help you, but if you have any questions, don't hesitate to comment below or email me at james@wishpond.com.